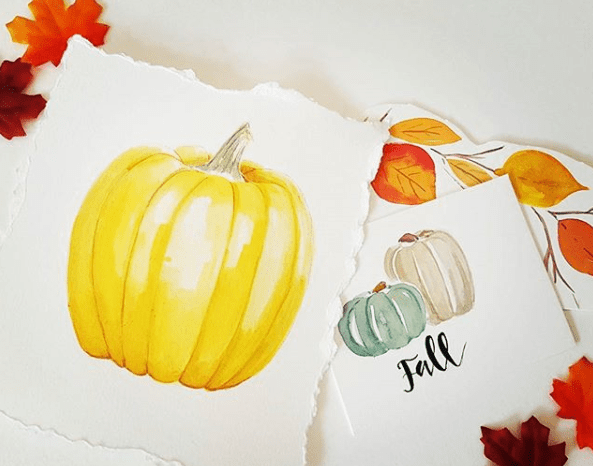 In this fun and vibrant painting workshop, you will discover the many possibilities and techniques for using watercolor paints. Leave feeling confident and creative to make your own unique artwork, stationary, and so much more! 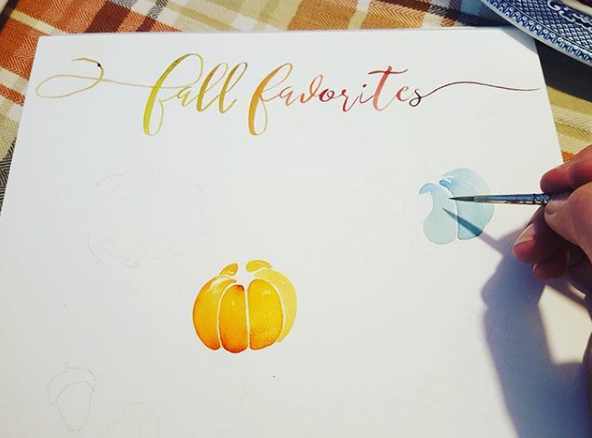 An abbreviated techniques demonstration and more time for creating! All that, in one class? Many people think that they are not creative enough to learn how to paint. Our class will break you free from that mindset and get your artistic juices flowing. Kara has taught hundreds of students to become lovers and creators of painting. 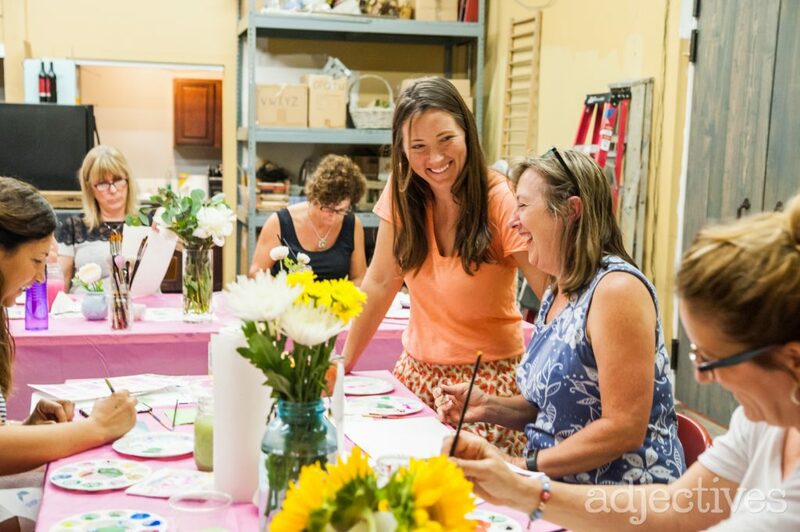 This hands-on workshop will prepare you to create your very own works of art. 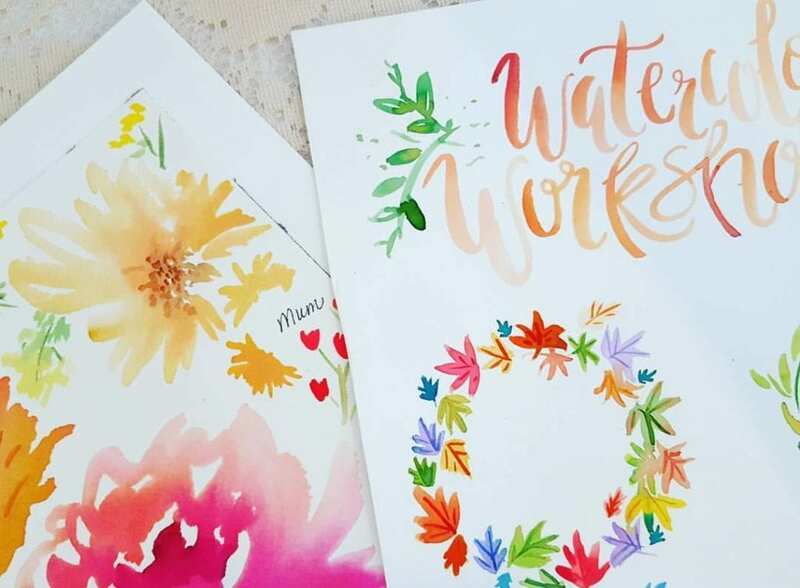 Are you ready to make your own wall painting, cards, and fun notes, or just have a relaxing time? You are going to love what you learn – and how you learn it. Materials: We’ll supply everything you need including the wine! Cost: $65, includes the full class presentation, take home hand painted techniques guide, your own painting to frame! Check out our Bring A Friend Discounts. It’s just $50 per person when you register together. Kara is a watercolor artist and illustrator based in Winter Park, Florida. While she has been painting and drawing since she can remember, her love of watercolor really began during post grad classes at SCAD in Atlanta. She loves the expressive color and the fluidity of watercolor. Kara has been teaching drawing and painting at the high school level since 2003 and in 2016 began teaching Watercolor & Wine Workshops. She loves to teach and gets so much joy when her students feel successful. 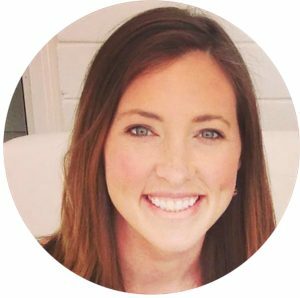 Her online retail shop and design studio are where Kara’s modern and vibrant watercolors come to life through products and clientele work. The retail side focuses on a range of products for the home, such as art prints, and paper goods, while the design studio focuses on creating specialty wedding stationeries for brides, custom animal and house portraits, and custom crests. She paints out of her home studio, most days with her two children, Claire and Grant beside her. Ready to break through and discover your creative side? Reserve your spot today for our next Watercolor and Wine Painting Class.